In celebration of day 10 of our TransformTen campaign, we’d like to introduce you to 7-month-old, Ten. 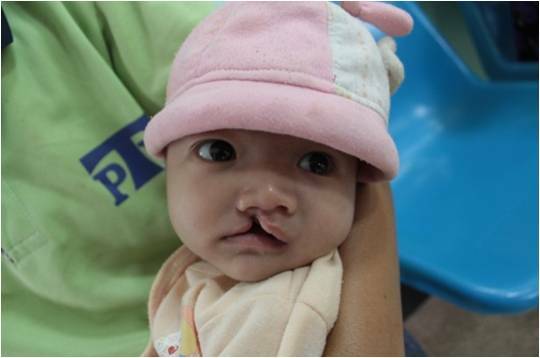 Ten was born with cleft lip and palate in the Phar Au Dom District of Laos. He is the seventh child in his family and lives in a remote community roughly seven hours away from our partner program in Chiang Rai, Thailand. Ten’s parents, Mr. Pong and Mrs. Bang, travel four hours from their house to the border between Laos and Thailand and then another three hours to Chiang Rai to access care for Ten. 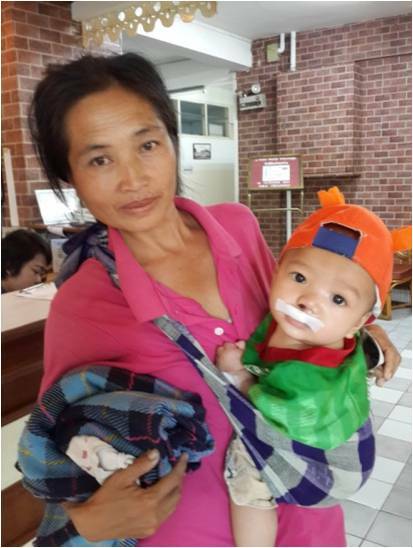 At 2 months old, Ten began receiving treatment from Transforming Faces partner organization, NWDF. Before surgery, our team performed ear, nose and throat (ENT), health and child development assessments. He has now had his cleft lip repaired and, in one year’s time, he will have his palate repaired as well. Transforming Faces also currently provides speech outreach camps near Ten’s community in Laos. As he ages, Ten will be able to access speech therapy close to home, thanks to supporters like you! Donate today to transform the life of a child like Ten! December 1, 2015 (tomorrow!) is GivingTuesday and the final day of our #TransformTen Series! Please consider making a small donation to help fund the cost of surgery and rehabilitation for 10 more children with cleft lip and palate. Get into the spirit of giving and help #TransformTen today!